She wrote Maris Piper, he was confused or thought she was too pernickety and appended ‘spuds’? Different hand? What else is happening here? A roast? A pickling session? Making chutney? 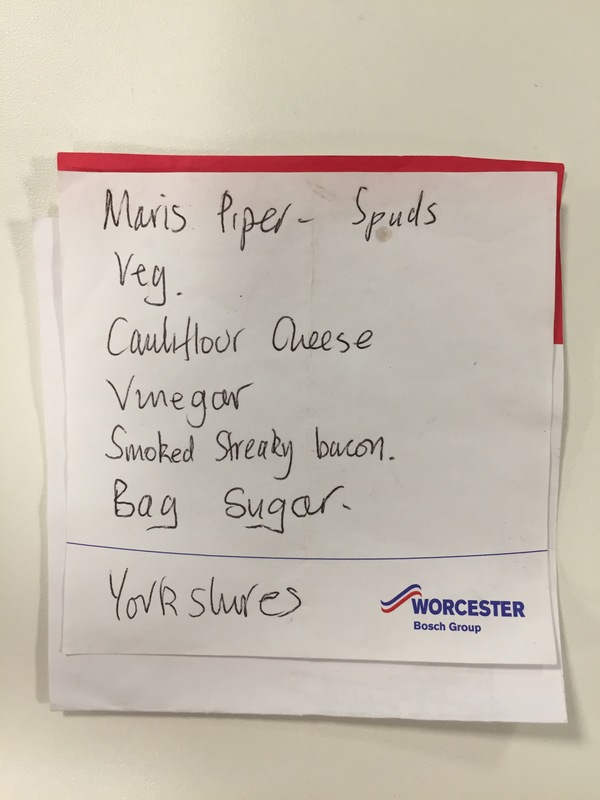 Maris piper spuds, veg, cauliflower cheese, vinegar, smoked streaky bacon, bag sugar, Yorkshires. Perhaps a meat pie of sorts, with the cold weather? Now I have to see what makes those spuds special!